Romance in the Countryside of Italy, What Could be Better? 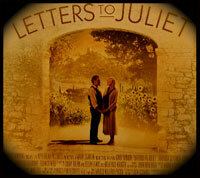 If you are in any way a romantic at heart, then you’ll no doubt fall in love with Letters to Juliet. The film tugs at all the right heart strings and will truly woo your affections. The main reason this film works so well is the star power of Vanessa Redgrave (Claire) as an English grandmother who left her heart in Verona, Italy fifty years ago. Claire returns to Italy with her grandson Charlie, played by Christopher Egan and an American journalist (Sophie), played by the talented Amanda Seyfried. The trio embark on a road trip through the breath-taking countryside of Italy, which is worth the price of admission itself, in search of Claire’s long lost love, Lorenzo. Sadly, Claire’s letter never reached the ladies upstairs. Sophie, while sightseeing discovers the letter and becomes intrigued. She immediately takes the letter to the ladies and begins to join them in their daily letter writing duties. Upon encouragement from the ladies, Sophie answers the letter and waits anxiously for a response. After all, she is a journalist. As fate may have it, Sophie meets Claire and her over-protective grandson, Charlie and the three begin a trek across Italy to find the long lost Lorenzo. A comical aspect of the film is the fact that the name Lorenzo is similar in commonality to a name like John Smith in America. The trio meet many different Lorenzo’s along the way and these guys are as different as night and day. Using Italy as a backdrop for this romantic love story is picture perfect. One can almost smell the lilac fields and the rich aromas of the olive oil. The enchanting scenery adds to the parallel plots that play out before our eyes. Sophie and Charlie are beginning to have feelings for each other; despite the fact that Sophie is engaged to be married, while Claire’s hopes of finding her long lost Lorenzo begin to fade. The latter situation causes over-protective Charlie to shift into high gear. He does not want to see his grandmother hurt and disappointed regardless of the circumstances! The two actors are long lost lovers in real life. An amazing fact to be sure. Nero and Redgrave met on the set of Camelot 1967 and fell in love. They had a child together, but never married and later separated. Both went on to other relationships. These unions did not work out and the couple re-united and were married on New Year’s Eve in 2006. A real-life case of love lost and love found. The casting of these two actors is spot-on. The love between them is ever-so-apparent. I doubt any other actors could have pulled this off to the degree these two seasoned actors have. The result is our gain as movie viewers and a treat to be sure. The director is Gary Winick of Bride Wars (2008). The script needs work in the areas between the young couple Claire and Charlie. Certainly, these two actors need more lines and more depth to their evolving romance. Both are wonderful to watch on-screen as I’m a huge fan of Seyfried from her role in Mama Mia (2008) days. Egan, is somewhat of a newcomer to film, nonetheless he plays the staid English guy with a strong believability. Look out ladies, this Australian blonde has a strong resemblance to a young Heath Ledger! Bottom-line: A beautiful film for all ages with a message centering on love.